All our products are hand made by people with Learning Disabilities. Because they are hand made, designs and colour may vary slightly. 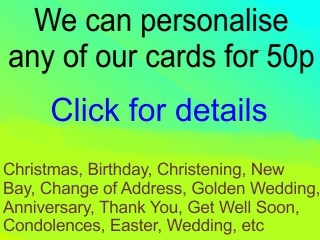 To see our cards range and make your selection, click on one of the links below. 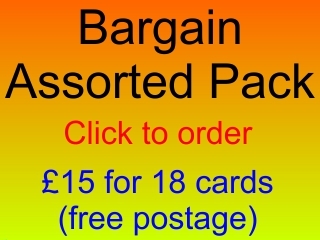 We can personalise any of our cards and also offer Bargain Packs. We also make Calendars and we will be adding more products from time to time, so call back soon! © Copyright Stepping on Out 2007-2019; All rights reserved. Stepping on Out is Charity Number: 1111636.
website: www.SteppingonOut.org.uk; website design by Colin Hicks.